Anabolic Steroids Information and Steroid Abuse Help. Anabolic steroid abuse is a very difficult subject to define. It is also a very difficult topic to approach for many different reasons. This article will outline what the definition of anabolic steroid abuse is, where the line between use and abuse is drawn, how solid that line is, and the parameters by which safe and responsible use is determined, as well as the parameters by which irresponsible abuse is determined. 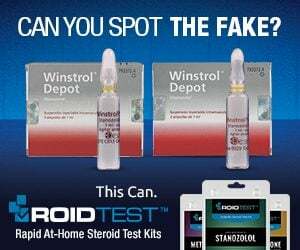 The mass media and the government will very often sensationalize, exaggerate, and outright lie about the dangers associated with anabolic steroid use. Media and government outlets will constantly define anabolic steroids wrongfully as drugs that possess a very low safety threshold and that the use of anabolic steroids is that of an extremely dangerous practice that will often result in acute as well as chronic injury and death. The facts have shown us throughout the previous 60 years of anabolic steroid use among athletes, bodybuilders, and the average gym goer that anabolic steroid use is in fact a very safe when performed judiciously following various strict guidelines and conditions, which can be defined as sensible and proper anabolic steroid use. When these guidelines and conditions are not followed or outright broken, this is when use turns into abuse. It is important for every individual to understand that anabolic steroid use for the purpose of performance and physique enhancement is not a safe practice. There is no such thing as 100% safety concerning anabolic steroid use (or the use of any other drugs, compounds, substances, supplements and even foods) – there only exists safer use. The portrayal of anabolic steroids by the governments and mass media to the general public is the following: anabolic steroids are miracle drugs when used within medicine that have the capability to cure diseases, save lives, and exhibit remarkable effects on the body in terms of healing and recovery. However, the general public is then told that when anabolic steroids are utilized for the purpose of performance and physique enhancement, they suddenly become deadly and kill individuals who use them. How can it be that if an individual is sick, anabolic steroids will help them, but if an individual is a healthy athlete, anabolic steroids will kill them? How can this be? There is something clearly very wrong here. The problem with anabolic steroids definition as a drug is that they are drugs that are so very different from nearly all other drugs in existence. Anabolic steroids operate differently, function differently, and case a host of different effects in comparison to other commonly known drugs. This is why there exists various movements in the United States (as well as in other countries across the world) that advocate the legalization or at the very least, decriminalization, of anabolic steroids. Such groups and movements also support the idea of placing anabolic steroids under a completely separate category of drugs. Anabolic steroids are simply hormones and analogues/derivatives of hormones that exist in the human body: Testosterone and its related analogues. The problem with defining anabolic steroid use and anabolic steroid abuse is that, as previously mentioned, these are unlike any other drugs (even in comparison to the commonly claimed ‘responsible’ uses of alcohol and tobacco). The issue here is that anabolic steroids exhibit effects that are so very different from any other drugs that the definition of use and abuse is far too enigmatical, cryptic, and far too open to perception. This article will attempt to establish a proper definition of anabolic steroid abuse and explain the parameters by which anabolic steroid use for the purpose of physique and performance enhancement transitions into anabolic steroid abuse for the same purpose. Every single drug, supplement, compound, chemical, and food in existence possesses what is known as a risk:benefit ratio. This is defined quite simply as the amount of benefit increases in relation to the risk increases, and there are many factors that determine this. These factors include: type of drug/compound/steroid used, dose used, duration of use, individual genetic response, and age. There exist many drugs that exhibit a very high risk:benefit ratio in which the risks are very high in relation to the dose required to elicit beneficial effects, and there are many drugs that exhibit a very low risk:benefit ratio in which the risks are much lower in relation to the dose required to elicit beneficial effects. Anabolic steroids fall into the latter category of a low risk:benefit ratio, as evidenced by the fact that anabolic steroids are considered some of the safest drugs in medicine, and the medical establishment regards anabolic steroids as low-risk therapeutic compounds with a high degree of safety. However, as with everything, there are also some very prominent health risks involved when these substances are abused (especially when abuse slowly transforms into excessive abuse). 1. To use wrongly or improperly; misuse: to abuse one’s authority. 2. To treat in a harmful, injurious, or offensive way: to abuse a horse; to abuse one’s eyesight. The dictionary definition of abuse provides some solid groundwork to build upon a definition of anabolic steroid abuse. The dictionary definition of abuse is far too limited and vague, especially when the topic of drugs and anabolic steroids are concerned. Therefore, it is very important to then understand the absolute importance of the following: context. Context is defined as the set of circumstances or facts that surround, influence and/or determine a particular event or situation. The context under which an individual looks upon a subject is of the utmost extreme importance, considering the fact that blanket statements and accusations should never be utilized when discussing science and medically-based subjects, as there are too many variables to consider when attempting to make a simplified, vague, broad, or blanket statement/claim. For example, when the mass media makes the claim that “anabolic steroids will kill you”, “anabolic steroids are bad for you”, or “anabolic steroids will ruin your body”, there is never any explanation as to the context under which such claims and statements are made. Never has the mass media discussed under which conditions, circumstances, and factors that anabolic steroids “ruin” an individual’s body. This is because the media is concerned with only one thing: sensationalism. They are not concerned with the truth, the facts, or proper context. The goal of the mass media and the government is that of simply attempting to implement scare tactics as a deterrent against anabolic steroid use. 1. The use of anabolic steroids without a valid prescription or deviation from prescription guidelines. 2. Any dose above TRT (Testosterone Replacement Therapy) doses. 3. Breaking the law by utilizing anabolic steroids in violation of the CSA (Controlled Substances Act) or any international equivalent (if it exists). 1. The use of anabolic steroids without a valid prescription or deviation from prescription guidelines: This is a very flawed attempt at defining anabolic steroid abuse, considering the fact that there exist plenty of drugs that have been discovered or developed that are utilized off-label for many purposes. 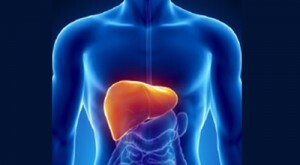 Human Growth Hormone, although not an anabolic steroid, is one such drug that is in what would be considered a ‘grey area’ in which its indications of use are very open. Anabolic steroids are no different in this case, especially considering the fact that many anabolic steroids that were developed during the anabolic steroid development boom of the 1950s, 1960s, and 1970s were in fact developed for the purpose of performance enhancement (Dianabol (Methandrostenolone), Anavar (Oxandrolone), Winstrol (Stanozolol), Deca-Durabolin (Nandrolone), Trenbolone, Sustanon and Anadrol (Oxymetholone) being some of them, for example). Many doctors will still prescribe many different drugs for purposes that the doctor deems necessary for use that are not under prescription guidelines as determined by the AMA (American Medical Association) or the FDA (Food and Drug Administration). There even exists varying leeway as to what conditions a doctor may be able to determine what he/she feels anabolic steroids may be used to treat in one of their patients, and this varies between different countries in the world. There is no single set strict limitation as to the prescription guidelines in the whole world that doctors must abide by when determining what a particular drug is to be used for (and how it is to be used). 2. Any dose above TRT (Testosterone Replacement Therapy) doses: Once again, the issue of doses is a flawed attempt at a definition of anabolic steroid abuse that is closely related to the first attempted definition. Plain and simple, there are many physicians that consider the use of any anabolic steroids for any purpose (even indicated medical purposes) at any dose to be abuse. There indeed exist an overwhelming amount of doctors that consider TRT doses of Testosterone to be abuse, so it is quite evident that this certainly is an improper definition by any count. 3. Breaking the law by utilizing anabolic steroids in violation of the CSA (Controlled Substances Act) or any international equivalent (if it exists): Another deeply flawed definition of anabolic steroid abuse that is often expounded by individuals who claim that abuse means to break the law. This is the same sentiment behind prohibition and abolition in the 1920s and 1930s, which is very evident that it caused more disastrous problems than it attempted to solve. While the law might claim to infer what abuse is defined as, the law in and of itself is not the absolute end-all-be-all definition of anything, much less the definition of abuse. Whether or not a particular substance or activity is considered legal or illegal has nothing to do at all with the definition of use or abuse, or even whether or not something is morally correct or not. This is even more apparent with anabolic steroids, where anyone can easily look at the fact that anabolic steroids are perfectly legal for sale, purchase, possession and use in the majority of nations on earth. Does this mean that all individuals that utilize anabolic steroids in countries in which it is legal to use (such as England, Canada, and various countries in Europe and the Middle-East) were abusing anabolic steroids just because under United States law it is considered illegal? This does not make logical sense, and is a very evident flaw. Although the following statement might be a slight exaggeration, anabolic steroid laws in the United States (as well as other countries that have followed suit and criminalized use, possession, sale, and purchase of anabolic steroids) are practically considered totalitarian dictatorship-esque laws much like the USSR or Nazi Germany in which the state (the government) determines what is best, and what is an ‘approved’ use. Although such an example may be a slight exaggeration, it is not an exaggeration by much, and certainly not very far from the truth and the reality of the matter. If laws are then changed, would that then therefore change the definition of abuse? It is very clear that this is perhaps the most flawed attempt at a definition of anabolic steroid abuse. There are always inherent risks associated with the use of any drug, no matter the dose, and as mentioned previously there exist drugs, supplements, and even foods that hold a high risk:benefit ratio as well as a low risk:benefit ratio. Although this has already been previously defined, it is very important that it is reiterated again so as to stress the importance of this concept to the reader. A different manner of describing the risk:benefit ratio of any drug is also describing it as the ratio of the effective dose (required to elicit the desired or positive effect) to the ratio of a lethal dose (required to elicit a lethal/deadly harmful effect). If the effective dose is too close to the lethal dose for a particular drug, this must be taken into consideration. There are many drugs that can be utilized moderately at a moderate dose, which translates to an effective dose that is not close to the lethal dose. Drugs that exhibit this characteristic are known as having a low risk:benefit ratio, or a low ratio of effective:lethal dose. Such is the case with anabolic steroids. There are plenty of drugs, chemicals, foods, and compounds that exhibit very high risk:benefit ratios. Peanuts are one example in which individuals with severe peanut allergies cannot even engage in moderate peanut consumption without risking lethal effects. For these individuals, moderation is very difficult, and likely impossible. What constitutes a ‘moderate’ dose or use of something varies greatly and moderation is often difficult to define. Drinking bleach cannot be done ‘in moderation’. There is no moderation for drinking bleach, and neither can an individual with a severe peanut allergy eat peanuts ‘in moderation’ (in fact many cannot even smell the scent of peanuts without a lethal effect occurring). It is possible, however, for an individual to drink alcohol in moderation (drinking socially or occasionally versus becoming an alcoholic or drinking so excessively that one becomes ‘hammered’). It is also possible for an individual to eat fast food and junk foods in moderation as well, as a splurge on some fast food once weekly would never cause any lethal or horrid damage (neither in the short or long term) if the individual’s diet is clean and healthy the rest of the week. These examples must be provided in order to allow the reader to relate to something comparable (such as alcohol use/abuse or eating fast food in moderation or not). The two questions then remain: can steroids be used in moderation? What is the definition of steroid abuse (non-moderate use)? It must first be understood that it would be a gross lie and massive discourtesy to place anabolic steroids into the same category of cocaine and heroin (a common practice among the government and the mass media). It would also be a lie and an immense irreverence to place anabolic steroids into the same category as alcohol. The fact of the matter is that while alcohol can be utilized in moderation, it is known as being the cause of well over ten to fifteen times the damage that anabolic steroids cause. When the risk:benefit ratio rises so high as a result of unreasonable increases in dose, duration, and/or frequency of use that bodily harm rises to significant levels. Although this proper definition has been determined, some clarification must be made as to some specific details. Furthermore, the further exploration deeper into this proper definition of anabolic steroid abuse must also be made, as well as determining the line that separates anabolic steroid use from anabolic steroid abuse. These are extremely important points and details and are perhaps the most important details and points of this article, and if the reader is to take home only one particular detail from this article, it should be the following points. These will now be covered. Determining a specific dose as ‘abuse’ is not an optimal manner by which to determine what constitutes anabolic steroid abuse. The majority of males in our population tend to tolerate supraphysiological (higher than normal physiological levels) levels of Testosterone quite adequately without risk of major bodily harm. How high Testosterone doses can rise and be tolerated moderately/safely before significant bodily harm becomes a high probability is entirely dependent on the male subject in question. Every individual responds differently to different doses of different drugs, supplements, and foods. While one individual may tolerate a particular dose of Testosterone without significant harm factors, a different individual administered the same dose of Testosterone may exhibit excessive bodily harm that would land the individual into the category of abuse. For the individual that tolerates a particular dose very well, if it is not causing the person harm then it would be very difficult to label that person’s use as abuse. With this having been said, there exists a spectrum among the general population whereby a particular average dose of a given anabolic steroid is considered a safe enough dose to be considered moderate safe use rather than abuse for the average individual. However, there exist anomalies at both extreme ends of the spectrum: individuals that will respond with extreme negative bodily harm to a dose that would be considered safe and moderate for the average individual, and individuals that will respond with no possible potential for bodily harm at extreme doses that would be considered harmful, unsafe, and abusive for the average individual. These details are extremely important, and the reader must understand these concepts with the utmost importance. The best possible manner by which to explain the transition from use into abuse is to refer once again to other topics that any average individuals can relate to. Once again, fast food and alcohol use will be utilized as comparable examples and analogies. It has been previously mentioned that it is indeed possible to engage in moderate consumption of alcohol, as well as moderate consumption of fast food without the imposition of bodily harm, injury or damage. It has been previously clarified that there is a significant difference between an alcoholic or a binge drinker, and an individual that engages in minor social consumption of alcohol. Likewise, there is a significant difference between an individual who engages in healthy nutritional habits who elects to indulge once weekly (or even less frequently) in the consumption of junk food and an individual that consumes unhealthy food choices on a daily basis several times per day. In the examples/analogies provided, one individual (engaging in abuse of alcohol/junk food) is causing clearly high amounts of damage to their body while the other individual (engaging in the moderate use of alcohol/junk food) is expressing the apparent ability to control their consumption of alcohol or junk food to appropriate amounts, as well as maintaining their common sense during their moderate consumption of alcohol/junk food. Once a particular activity becomes that of a compulsive tendency/habitude, it is then considered abuse. The general definition of abuse as it pertains to substance abuse is always defined as when the harmful effects/detriments begin to outweigh the benefits. Such is the exact case with anabolic steroid use and abuse as well. It has been determined that there exists a transition over the line that separates use and abuse with any particular substance. But how does this apply to anabolic steroids? The fact of the matter is that the potential harms associated with anabolic steroid use and abuse is mostly dose and duration dependent (in relation to the individual in question’s personal response to the drugs). It is this reason in particular as to why many anabolic steroid users consider anabolic steroid use to be an almost completely safe practice, even when doses are raised to excessive levels and duration is extended to unreasonable lengths. This is where the beginnings of use begin to slowly transition into an abuse for an anabolic steroid user. Many of these individuals will often continually unnecessarily increase doses after every subsequent cycle, continue to slowly add more and more compounds into cycle stacks. These particular individuals always think they have their user under control, and that health issues only happen to someone else. It is very evident that the downward slope of use to abuse is often unnoticed by the abuser themselves until it is too late – much like alcohol abuse where no individual ever awakes one morning and decides they are going to become an alcoholic. No, this is a slow progression that often goes unnoticed, and it is very easy for an anabolic steroid user to fall into that harmful thought process of thinking to themselves that what they are doing is perfectly fine, and that they are never using too much, often because they think to themselves that they have not experienced any problems so far. Making adjustments to a cycle or adding an extra few weeks onto a cycle, or the inclusion of an extra compound, or the slight increase in dose shouldn’t make much of a difference should it? Individuals should think again when thoughts such as these progress into their minds. This is the dangerous manner of thinking and rationalization that lands anabolic steroid users into the category of abusers. But how and why do anabolic steroid users fall into this manner of thinking? What types of individuals are most susceptible to such compulsive (and often delusionary) behavior and thinking? How common are anabolic steroid abusers among the anabolic steroid using subculture? These are all questions that will now be answered and explained in detail. There are many different reasons as to why various individuals will fall into the thinking that lands them in the category of an anabolic steroid abuser. There also exist different types of anabolic steroid abusers and individuals that exhibit abuse potential. What must first be made clear is how frequent and common anabolic steroid abuse really is. The spin doctors in the mass media and the government would have everyone believe that all anabolic steroid users are abusers. It is quite evident that this is not the case what so ever as previously explained throughout this article thus far. Furthermore, the portrayal of what a typical anabolic steroid user is according to the mass media and the government is so utterly and deeply flawed that these portrayals should be considered outright lies and gross exaggerations that deface the truth of the situation. Real world statistical data is never provided by government and the mass media to support the claims made, because the real data always demonstrates the opposite of what the government and mass media frequently tells the public. The real truth concerning anabolic steroid use and abuse will now be plainly laid out in this article. 1. Individuals uneducated in regards to anabolic steroids: This is perhaps the first and foremost common group of individuals that are the most likely to abuse anabolic steroids. In very basic terminology, these individuals will often abuse anabolic steroids mistakenly, as the cause for abuse is due to sheer ignorance. Anabolic steroids, being unlike any other drug, are a particular category of drugs that are utilized for a specific purpose and therefore must be utilized in a specific manner. The use of such drugs requires extensive research, education, and knowledge prior to use. Considering the fact that anabolic steroids are hormones that deal with the endocrine system, this is a complex function in the body. Uneducated use by ignorant uneducated users (often driven by impatience) is the most frequent cause of anabolic steroid abuse. 2. Anabolic steroid users that slowly lose the ability to reason, leading to compulsive abuse: This is perhaps the second most common group of abusers, but tends to also comprise a larger portion of anabolic steroid abusers. There is no need to extensively explain this particular group, as these types have been explained in detail in the previous section of this article. 3. Teenagers: Teenagers and any individual under the age of 24 present the third most common group frequently implicated in anabolic steroid abuse. This is because the guidelines and stipulations that deem what moderate appropriate and responsible anabolic steroid use is exclude the use of any anabolic steroids under any circumstances by teenagers and children (unless it is therapeutically initiated by a doctor). The problem with the use of anabolic steroids for the purpose of performance enhancement in teenagers and high school athletes lies in the fact that there are a multitude of key developmental factors involved in teenagers and children. Teenagers and children have not yet fully matured or grown in many different biological and physiological aspects, which include the endocrine system. Teenagers and children face severe and long term health consequences as a result of the use of anabolic steroids of any type at any dose, which concludes that the risk:benefit ratio in regards underage anabolic steroid use is so high that almost any form of use would constitute abuse. Finally, the truth supported by facts in the form of evidence will demonstrate the problems associated with the completely inaccurate portrayal of anabolic steroid users and abusers by the government and mass media. It has been briefly mentioned above that the portrayal of what a typical anabolic steroid user is according to the mass media and the government is so utterly and deeply flawed that these portrayals should be considered outright lies and gross exaggerations that deface the truth of the situation. Anabolic steroid users are frequently and inaccurately portrayed as one of three stereotypes by the mass media and the government: either they are portrayed as athletes, or uneducated mindless big brutish people that occupy all of their time in gyms, make low income, and spend all of their money, or as a large percentage of them being teenagers and high school athletes. In addition to these stereotypes, other false details include: the massive sharing of needles and syringes, as well as the stereotype of injecting anabolic steroids in the gym locker rooms. All three of these stereotypes are outright gross exaggerations as well as lies, and most frequently when the mass media portrays anabolic steroid users as these stereotypes, no statistical data or any evidence is brought forth to support these claims. The fact of the matter is that according to various studies in the United States, the average anabolic steroid user is that of a middle-class heterosexual male of the average age of approximately 25 – 35 years of age who are neither competitive bodybuilders (at any level), nor are they athletes at any level, and these anabolic steroid users are simply utilizing anabolic steroids for purely cosmetic improvement purposes. Furthermore, a 2007 survey found that 74% of non-medical anabolic steroid users were indeed highly educated individuals that possessed college degrees, while far less had failed completion of high school than the media would otherwise have the general population believe. This study also determined that non-medical anabolic steroid users held a greater employment rate and a larger total household income than that of the general population2. 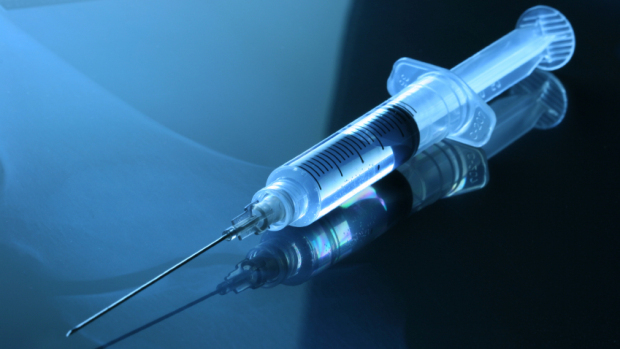 Recent surveys have also determined that 78.4% of anabolic steroid users are neither competitive bodybuilders, nor athletes, and 13% were found to have used unsafe injection procedures (reusing and sharing needles and vials). However, a study in 2007 determined that specifically the sharing of needles among non-medical anabolic steroid users is actually less than 1%. It is important to understand that anabolic steroid abuse is the result of a myriad of different factors, many of which include: type of compounds used, dose, duration, individual personal response, individual tolerance, and the manner in which an individual elects to use these drugs. Furthermore, there is a distinct difference between responsible moderate anabolic steroid use and anabolic steroid abuse, of which there is a solid and clear line that separates and defines the two. The basic use of anabolic steroids cannot be blamed for the more debilitating negative effects associated with anabolic steroid abuse, and that it is only when various parameters have been broken, crossed, and the individual slips down the slippery slope from moderate responsible use into anabolic steroid abuse that the improper and excessive use of these drugs can then be considered abuse. To make blanket statements that all anabolic steroid use outside of a doctor’s prescription or outside of the boundaries of the law is an extremely illogical and hypocritical statement when other legal substances that are used on a more common and far more frequent basis by the general population are taken into consideration. Society should ideally learn to not treat anabolic steroids unfairly by assuming double-standards where substance use is concerned in comparison to anabolic steroids. “A league of their own: demographics, motivations and patterns of use of 1,955 male adult non-medical anabolic steroid users in the United States”. Cohen, J.; Collins, R.; Darkes, J.; Gwartney, D. (2007). Feedback 4: 12. doi:10.1186/1550-2783-4-12. PMC 2131752. PMID 17931410. //www.ncbi.nlm.nih.gov/pmc/articles/PMC2131752/. “Anabolic-Androgenic Steroids: A Survey of 500 Users”. Andrew, Parkinson; Nick A. Evans (2006). Medicine & Science in Sports & Exercise (American College of Sports Medicine) 38 (4): 644–651. doi:10.1249/01.mss.0000210194.56834.5d. PMID 16679978. Archived from the original on 4 May 2007. http://www.medscape.com/viewarticle/533461. Retrieved 2007-04-24.